For people who travel often, caring a "productivity" tool is inevitable. Notebook is too heavy, and tablet pc is not suitable for office. What should we do then? Maybe you can take the full new PIPO W9S netbook into consideration, with less than 1.5kg weight, which is sure to be ultra light and portable, while the price is only $199.99. PiPO Work-W9S Laptop use a 14.1 inch 1366 x 768 pixels screen. The 14.1 inch larger sreen can offer an excellent perception for your work, styudy and entertainment. Though FHD and 2K screen tablets are more often nowadays, 1366*768 screen resolution is really a bit low, as for the Windows operating system, it it the best resolution compatible with EXE software. Pipo W9S is carried with Intel Cherry Trail Z8300 Processor. The Z8300 Processor of the Intel Cherry Trail family is one of the most used Atomm processor among the latest domestic tablets. It is based on the latest 14nm process with quad core four thread design, typical frequency 1.44GHz, and can reach up to 1.84GHz at max, Integrated Intel HD Graphics Gen8 GPU. 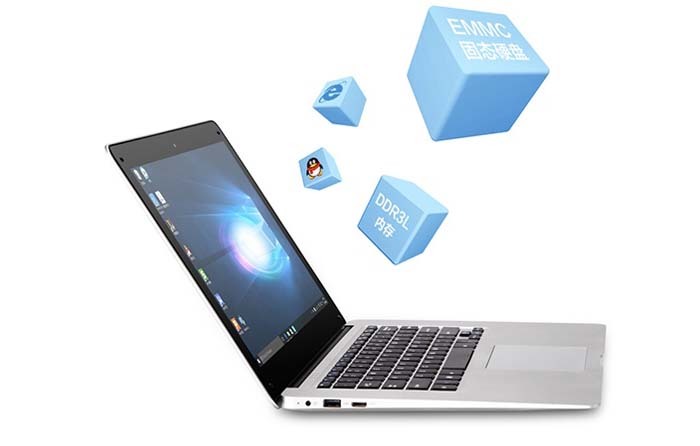 Moreover, it is built in 4GB DDR3L RAM and 64GB eMMC storage, compared with the first generation of netbook, it has a much stornger performance. Because the large 14.1 inch screen, it has enough space for the keyboard. Compared with the older netbook, it is larger on keycap spacing and key process. 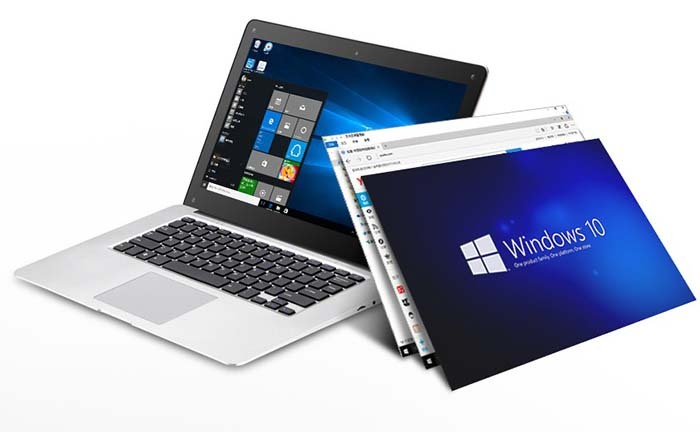 Compared with Windows 8.X os, Windows 10 OS -- as the latest operating system, has got many improvement. For example, it provides both notebook and tablet pc dual modes, start menu improved, provide Virtual Desktop and Multi-screen windows function, built in full new Edge Browser, integrate Microsoft's voice assistant software -- Cortana, and so on. 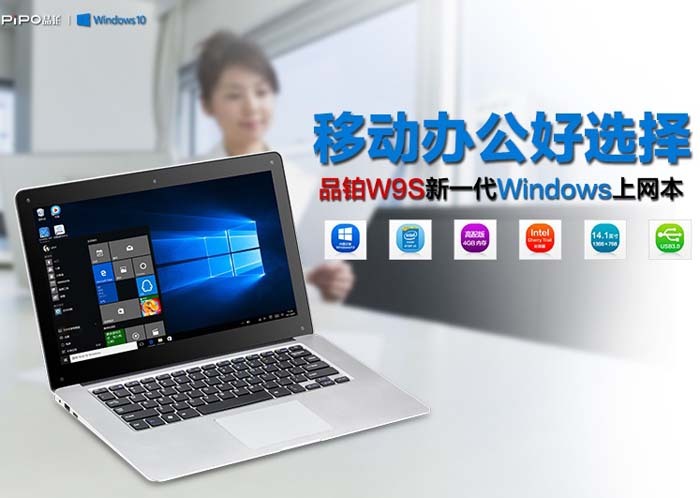 W9S tablet is pre-installed with Windows 10 operating system, which will bring you a comfortable operating experience of the new generation netbook. In addition, this new PiPo W9S has a similar appearance as the MacBook Air tablet, with Silver & White back shell, uni-body design. 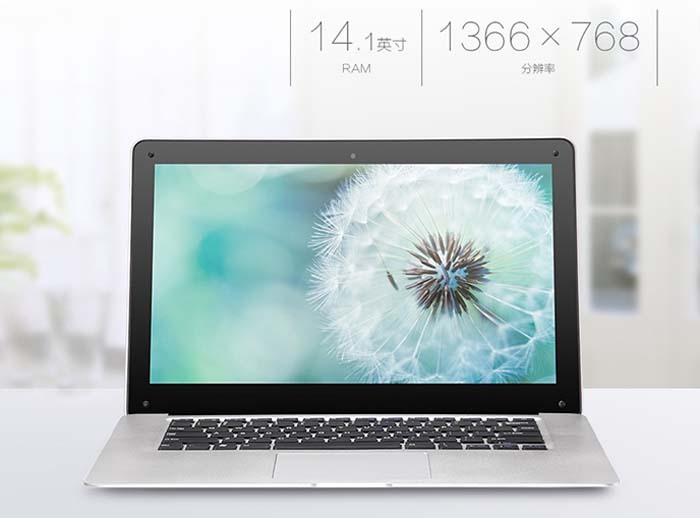 PIPO W9S dimension is 351mm*233mm*20mm, and net weight less than 1.5kg, with a lower price of 199USD at pipo-store.com, compared with the 1000USD MacBook Air, it is more worthy buying, and sure to be your best choise for work.